How Do You Spell AFTER-PART? 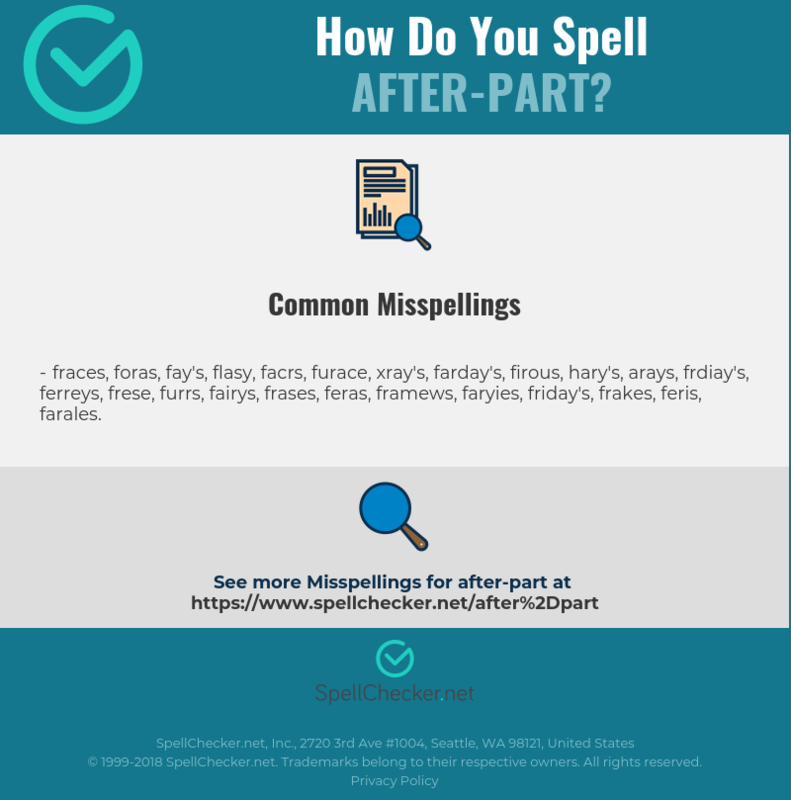 Correct spelling for the English word "after-part" is [ˈaftəpˈɑːt], [ˈaftəpˈɑːt], [ˈa_f_t_ə_p_ˈɑː_t]] (IPA phonetic alphabet). 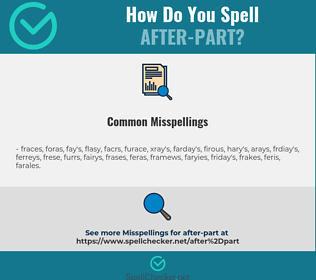 Below is the list of 130 misspellings for the word "after-part".